If there is one item that I think is most important to the success of your travels, it’s your backpack. I have been on many different types of adventures over the years and travelled with many different backpacks for traveling the world. I clearly remember which were good travel backpacks and which were terrible choices. I can’t say that about any other item! This is because making a bad choice can literally make every travel day painful. This is why choosing the best travel backpack is such an important decision, especially if you are going on a longer trip or visiting multiple destinations with lots of travel days or if you are on a low budget so you want to avoid taxis. Or if you just value your back and like to be comfortable! Below you will find my complete guide to choosing the best travel backpacks 2018 so you can make the best decision possible and avoid one of my painful mistakes. 1 Why travel with a backpack? So why travel with a backpack at all? This can be a big decision in itself and suitcases definitely have their place. We have traveled with both – a suitcase was essential when we were traveling with babies and toddlers and had a fair bit of gear we needed to take with us. Not just this, but since we often had a kid in a carrier and a day pack, carrying a travel backpack as well would just be too much. However, now our kids are a bit older, we are firmly back to traveling with backpacks and loving it. This is because the best travel bags just make our life when traveling easier. Whenever I have a backpack that fits me well and has good weight distribution, I find carrying a bac pack very easy. In fact, I barely even notice the weight when they feel comfortable and have a hip strap. This is especially the case when I am dealing with stairs, uneven payments, public transport, etc. Another bonus is that many of the top travel backpacks 2018 are compact enough that there are no problems taking them on board buses, planes etc which not only saves time when arriving and departing a city and is more secure, but also can save a fair bit of money. 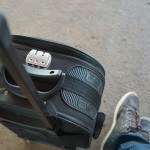 If you are like us and like to save money using budget airlines, then never paying baggage charges can add up to a huge saving. Another reason I love backpacks is because the good quality backpacks I own have lasted years and are still going strong. They do not seem to get as damaged as easily as suitcases and I find them far better value. They have a more flexible size and shape so when they are not full, there is more chance that I can take them on board planes. You can also buy backpacks that have detachable day packs to make things even easier. If you pick one of the best travel bags, you should not need to ever buy another one. I am yet to have a quality backpack full apart. The following is a comparison chart of all the options for best backpack 2018 which we have reviewed in this guide. You can click the column headings to easily compare whichever criteria you want. There are quite a few things to consider when picking what is the best backpack for travel for you. An important thing to note is that just because a pack was the best travel pack for your friend/sister/colleague, don’t assume that it will also be the best pick for you. Some of my mistakes were following others’ recommendations and borrowing their packs. Your needs and size will most probably be different so it is important to work it out for yourself. The size of the pack is the MOST important aspect of picking the best backpack for travel. It’s really REALLY important that you pick a backpack that you can carry comfortably. I am not just talking about whether the pack is big or small or how many liters it is, but the size, shape and how it fits on your back. On my first backpacking trip to Europe, I borrowed a pack from a tall male friend. BIG mistake! It was taller than me when I was wearing it and would nearly topple me over even though it wasn’t that heavy. 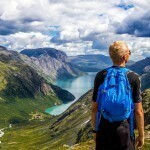 This is an extreme example of what not to buy when you are looking for the best travel backpacks for Europe and why you need a backpack that fits you well, but even being not quite right for your back can cause issues over time. That experience was so much different to my next trip to Europe where I spent a decent amount of money on a high quality backpack which was made especially for women. I barely felt like I was wearing a pack and I took just as many things. On the issue of the number of liters, my advice in general is to pick something that is only slightly bigger than you need. If you a huge shopper when traveling and this is important to you, then you can ignore this advice. However if you are like me and like to travel light, then a smaller pack is the way to go. In my experience, if there is space in a pack then I want to fill it! Better to avoid the temptation. Padded hip strap. This is absolutely essential for spreading the weight over your body and is why I put it in bold. I find this essential in both the best backpacking backpacks and carry on sized backpacks. This is because a good hip strap makes a huge difference as to whether the backpack is easy to carry or digs into your shoulders and painful. Any hip strap is better than none but padding helps to make it more comfortable on your hips. Padded shoulder straps. As with the hip strap, this will make it much more comfortable on your shoulders and less likely to cause bruising (unfortunately, I have received bruises from a pack in the past). Make sure the padding is thick. A strap that connects across your chest between the two shoulder straps. This helps distribute the weight more evenly. There is no need for this strap to be padded as it does not sit on you. A carry strap is a nice to have. Sometimes it is convenient to carry a backpack like a shoulder bag, or even just to be able to pick it up quickly to move it somewhere and this enables that. It is even more important to have some type of strap if you have a backpack where the main straps have a cover which can be zipped over them for plane trips (something else which is also a nice to have). There are three options – none, external and internal frames. If the pack has an external frame, you will see big poles sticking out – avoid these! They tend to be heavier and are just not necessary. Internal, lightweight frames are what you should be looking for in the best traveling backpack 2018. However, if you are choosing a small backpack or day pack then a frame may not be necessary at all in one of the good backpacks for traveling. Another thing to look for in the best backpacks for travel 2018 is mutiple compartments. Just one compartment can be annoying. For one reason because there are always items you need to be able to access quickly that you don’t want swallowed up by the rest of your bag. However, too many compartments is also a bad thing. I am sure most of us have traveled at some point with someone who has a backpack with many different compartments and then they can never find anything! I find 3-5 compartments are ideal and at least one should be lockable. A laptop compartment is priceless if you travel with one. Generally, the best backpacks for travel are made with water resistant material. This is essential! It does not have to be fully waterproof but you should be able to get caught in rain without all your belongings getting wet. Look for material which is good quality – thick but lightweight. You should be able to spill some water on your pack without any water getting inside. Similarly, you also want material that will dry quickly if it is caught in rain. No one wants to be stuck with a wet pack. It’s also important to consider how you can access the compartments in your backpack. I find the biggest problem can be with top loading backpacks where you can only get things in and out from the top. If you are considering this style of backpack, think about whether that will frustrate you. My favorites are backpacks with a U zip – this is a zip which goes around three sides of the backpack which can give as good as access to your belongings as a suitcase. In my opinion, the best backpacks for international travel will have this feature. This makes it far easier and quicker to access everything. If you are looking for the best travel backpack for women then you need to think about all the same points as described above. Size is perhaps an even more important consideration and it is worth considering the fact that there are specific travel backpacks for women. These backpacks are not necessarily smaller but they are designed with a woman’s body in mind. This means the manufacturers considered the fact that women generally have wider hips, a shorter torso and narrower torso. My most comfortable backpacks have been ones designed to be the best womens backpack. It is not always the case that the best backpacks for traveling women are especially made small backpacks for women, but this is often the case. However, if you do have have broader shoulders, slim hips, are tall etc then you may not find that travel backpacks for women are more comfortable for you. Other than the different design for a typical woman’s body, there is not much difference between the women’s and the men’s backpacks. The Osprey Aura 65 backpack is a popular choice – and for good reason. It is lightweight, comfortable and versatile. We rated it a high 4.5/5 as it is one of the best traveling backpacks 2018. I like how versatile it is. It is suitable as a travel backpack but it also works well for women who like hiking and camping. 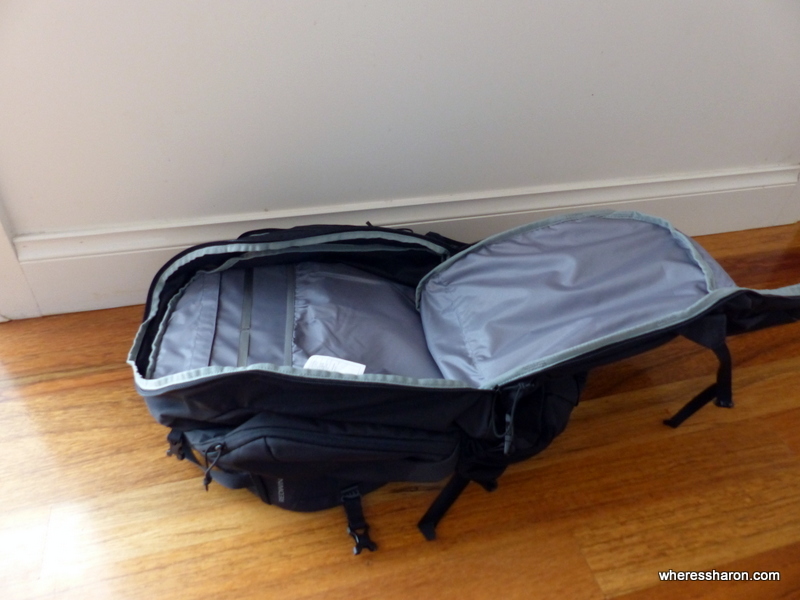 My Osprey Aura 65 review found a backpack which should make any traveller happy. At 65 liters, it is big enough for the vast majority of travelers. If this isn’t quite right for you, you can opt for the 62 liter or 68 liter version. The Aura has been designed to mold to the female back. The shoulder straps, hip and front straps are all adjustable and padded. This pack also features AirSpeed suspension to help makes things more comfortable and easy. This pack has several compartments including a removable top pocket, sleeping bag compartment, vertical zip pocket and attachments for tools and removable sleeping pad straps. My favourite part about the Osprey Aura 65 backpack is just how comfortable it is. It is very comfortable to carry around loaded up. I also love the mesh back panels and how this pack is built to be breathable which stops me getting sweaty. It is also very durable and I would expect it to last for many years to come. However, it also includes a limited lifetime warranty. Click for the current price, more information and reviews. Australian Readers: Can see the latest prices here. I have to start this review by saying how much I love this backpack. It’s what I am personally traveling with at the moment since we went back to traveling carry on only and you can see me in action with it in Croatia in a photo above. The Kelty Women’s Redwing 40-liter backpack is perfect for women who want something a bit smaller. It is a popular and quality choice with a massive 5/5 rating. It is also incredibly great value at around the $100 mark. It is a great choice when looking for small backpacks for women. It is big enough to hold everything you need while still being small enough to take on board airplanes. I am amazed by how much I fit in this bag – everything I need including electronics, as well as joint family things such as toiletries and I can even fit a whole big bag of nappies on top of all of this. It is also full of features. There are many different compartments to help keep yourself organised. It is possible to use this pack as a top loader, but the front has a U zip to give you easy access to the main compartment. There are zippered side pockets and front pocket. On top of this, there is a water bottle holder and the pack can be used with a hydration pack. I also like there this is a sleeve in the back of the main compartment which is perfect for putting my laptop and my folder full of important documents. There is a carry handle. The shoulder straps, hip belt and front chest strap are all adjustable and very comfortable. There is an AirFlow back panel, AirMesh shoulder straps and hip belt to keep the pack breathing against your skin and to add to the comfort level. The suspension system is also top rate without adding much weight. It is designed to put as much weight as possible on your hips, rather than your shoulders. It is my pick of the best backpacks for women because it is so comfortable to wear. My favourite part about this backpack is how compact it is. 40 liters is a fabulous size for people who do not want to check their bag in at the airport, but want to maximise what they can take with them. It is very comfortable to carry around and the quality is excellent. After nine months of constant travel, the bag doesn’t even look a day old. I love the U zip at the front which makes it really easy to access all my belongings. It is one of the best small travel backpacks and is also a good choice for older children. My only complaint is that the zips are not lockable. There is also a male version of this backpack. You can also read my guide to the best travel backpacks for women. When looking for the best travel backpack for Europe, the most important consideration is that it is super easy and comfortable to carry around. There can be a lot of stairs in Europe! A lot of accommodation options do not have elevators and walking up 5+ levels of stairs is not uncommon. For this reason, a lower capacity backpack is also a good idea so that you don’t end up taking far more things than you need with a heavey backpack. If you are traveling like many of us and using budget airlines, keep in mind they will charge you extra to check in your backpack. If you can stick to a best carry on backpack for international travel, this can also save you a lot of money. Likewise, if you are on a tight budget then you may also find yourself walking quite far with your pack to avoid taxi rides. Some of the big cities have great public transportation, others leave a lot to be desired. This means the best backpack for traveling Europe will be something that is lightweight, compact and comfortable to carry. Below is my pick for the best backpacks for traveling Europe. The Redwings backpack reviewed above is also a great choice. The Osprey Farpoint is a great 40 liters. This means that you can take this bag on board planes and can save money on all the fees and hassle involved in checking in. If you must have something bigger, it also comes in 55 liter and 70 liter versions. Its suspension is great and helps to ensure a good fit to your back. It also features a U, front panel zip to make access easy to the main compartment. This backpack is easy to lock up and also has interior pockets and compression straps to help make your bag as small as possible. There are also several other zippable front pockets and mesh pockets to hold things like a drink bottle. For extra items, there is a removable sleeping pad strap. There are side and top handles. The hip belt and shoulder straps are designed for use by both genders and can be zipped away to help prevent them from getting damaged when traveling. The external compression straps help to keep things compact. There is also a mesh back panel and the pack has been designed for air flow. This is a top of the range backpack and I just love it, especially with this price tag. It is my personal choice for best backpack for backpacking Europe and elsewhere. I think it is the ideal size – still fine for carry on and prevents me from taking too much stuff with me, but yet big enough to carry all my essentials plus items like my laptop comfortably. The zips are super easy to lock up and the the straps and hip belt are perfect. I also love how they all zip away turning this bag into more of a duffel bag, perfect for when I am storing it or if I choose to check it in. It is my personal favourite as I think it is the best backpack for air travel. Australian Readers: Can see the latest prices here for the 40 liter or the 55 liter or the 70 liter. The Osprey Porter is also a quality and popular choice. However, I prefer the Farpoint as it comes with suspension and better hip and shoulder straps. Over time, you will be far more comfortable carrying the Farpoint. However, if you require just a bit more space or want something cheaper, the Porter is available in 46 liters and is about 2/3 of the price of the Farpoint. Australian Readers: Can click here for more details about the Osprey Porter. 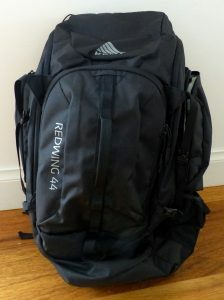 One of my favourite backpacks for both comfort and convenience is the Kelty Redwing 44 backpack. I have the women’s version of this backpack (reviewed above) and I loved it so much that I bought this version for my husband. It’s a great choice of the best backpack to travel Europe. The backpack is great for organising yourself whilst traveling and works well as a carry on option. The Redwing works as both a top loader and a panel loader, adding great convenience to any journey and has been designed for all day comfort. This backpack is one of my favourites due to its great organization features, with zippered side pockets, zippered stash pockets, large front pocket and water bottle pockets on the side. Overall it is a fantastic backpack for those, like me, who need the extra organization and love great value. Click here to see the latest prices and reviews. If you have read all this article so far, you will have already noticed that I have a bias for travel backpacks which are compact enough to be taking on board planes as carry on baggage. If you feel this way too and are looking for the best travel backpack to carry on, check out the Osprey Farpoint and Kelty Redwing above. 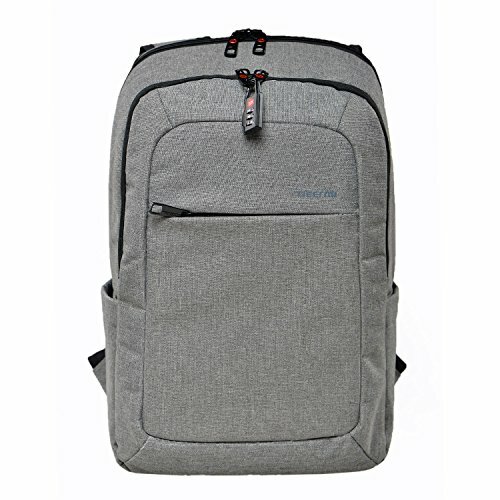 However, if you are looking for the best carry on backpacks (as in ones just for carry on and not to use for everything you are taking away with you), this is the right section for you. The most important thing to consider when booking for a carry on backpack is how much you need it to be able to carry. How much will you need to take on board the plane with you? You also need to remember that this will probably be the backpack that you use day to day at your destination (as your day pack), so also consider how much you will need to be able to carry around then. If you do not need to carry many items and you won’t need to handle much weight, then you may not need things like an internal frame and a cheap, lightweight day pack may be the perfect choice. However, if you think you will need to carry any sort of weight then its important to consider comfort and what backpack will suit you best in terms of carrying it comfortably. This is especially important if you are going to need to carry many electronics in your carry on backpack. The weight of these can quickly add up and it’s important to not hurt your back. You also want to keep these secure and safe. You need to keep in mind that you may be carrying your day pack for the majority of most days so its important that it doesn’t hurt your back or is uncomfortable. It is surprising how heavy a lightweight pack may start to feel after half an hour if it is not designed well. When looking for the best carry on travel backpack, look for the same things as listed above. It needs to fit well, be an appropriate size, have comfortable straps, the right number of compartments (it’s handy to have at least two of these), water resistant material and easy access. Something I do recommend is staying away from sling backpacks (ones that just have one should strap). I thought these looked great so traveled with one once – NEVER AGAIN! Despite the fact that I wasn’t putting much weight into it, only having the weight over one shoulder made it uncomfortable after only short periods. The Osprey Daylite is 13 liters meaning it is big enough to hold all your day and carry on essentials without overloading you. It features padded shoulder straps an across chest strap and a hip belt which makes this pack comfortable to carry around all day. There are lots of pockets and you can also attach a camelback. It’s definitely a contender for the best travel rucksack. Another great feature of this backpack is that it can attach to larger “AddOns” compatible Osprey backpacks. It can also be rolled up to fit inside larger packs, although the back support is rigid so it will not completely roll up. I love the size and how lightweight this carry on is, but yet still big enough to carry what I need it to. It also has all the comfort features I look for in the best backpack for travel carry on. My only complaint is that it does not fold up as compactly as I would like for when I would like to store it in my bigger travel backpack. However, unfortunately there is not much that can be done about this if you want the support that the back panel provides. One of the best carry on bags I’ve come across is the Standard Luggage Co. carry on backpack. This bag is shaped more like a suitcase and opens in a U shape which I absolutely love – it means you can maximise space and stuff it as full as possible. The backpack is a 3 in 1 as it can be used as a suitcase, backpack and shoulder bag. The shoulder strap is included and can be easily clipped onto the ends of the bag. It also looks great with orange leather attachments on the handles and zips which can be removed and replaced with blue ones (which are also included). The backpack also includes a rain cover and luggage tags. The backpack features so many zips, pockets and compartments to help you stay organised and the central compartment is huge. 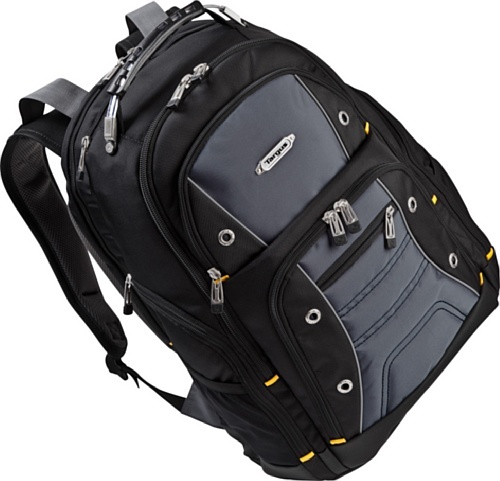 Whats more, the bag is expandable and the capacity can be increased from 35L to a huge 45L. The shoulder straps are wide and made of a breathable fabric. When not in use, they can be zipped away. There’s also loads of accessories that can be used with the bag. The backpack is super comfortable to wear and one of the top carry on backpacks I’ve personally used. Another Osprey product, this one is a great choice for the best rucksack for traveling 2018 which will hold a fair amount of items. It is ideal as carry on, or for day trips out, and will easily fit in everything you need. You can choose between red or blue, and both look extremely smart. In order to minimise bulk, the carrying handles are well hidden, and the stretch mesh pockets are big enough for a water bottle – ideal for day hikes. In terms of what you can fit inside, there is a tablet sleeve with direct access, as well as a front pocket with an organisational section. The large main compartment is more than big enough for your belongings, and it also has zippers which have the capacity to lock together. In terms of carrying this backpack, the harness is made of mesh material for ventilation, as well as the hip belt. The backpack is also very lightweight, at just 1.9lb. I am a big fan and think this may be the best small travel backpack. I love how tiny and compact the Outlander Packable Travel Backpack is when we are not using it. If you want a day pack option that can roll up in to your other backpack when not in use, then I particularly love the Outlander Packable Travel Backpack. This is a great backpack with multiple compartments which is reasonably comfortable to carry (although without the features that make the Osprey Daylite so comfortable). What I absolutely love is how small this day pack rolls up. It comes with a small pouch to zip it into and then it is simple to store it. 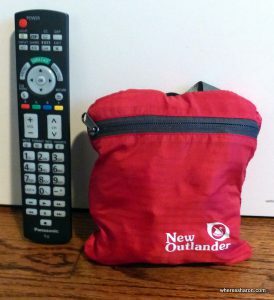 The big benefit of this is if you like traveling with carry on luggage only, you can take a backpack like the Farpoint on planes or on travel days with the Outlander folded up inside. Then when you need a day pack at your destination, you don’t have to use the bigger pack. 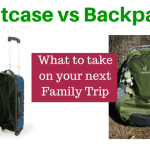 This is how we use this choice for best travel day pack 2018 and we find it invaluable. This backpack comes in both 20 liter and 33 liter options. We have tried buying cheaper versions of this bag on eBay but have found they never last very long. I highly recommend paying a few dollars more to buy the Outlander. Read our full guide to the best carry on backpacks. For better or worse, a laptop is an essential piece of equipment for many of us today – whether we are at home or on the road. 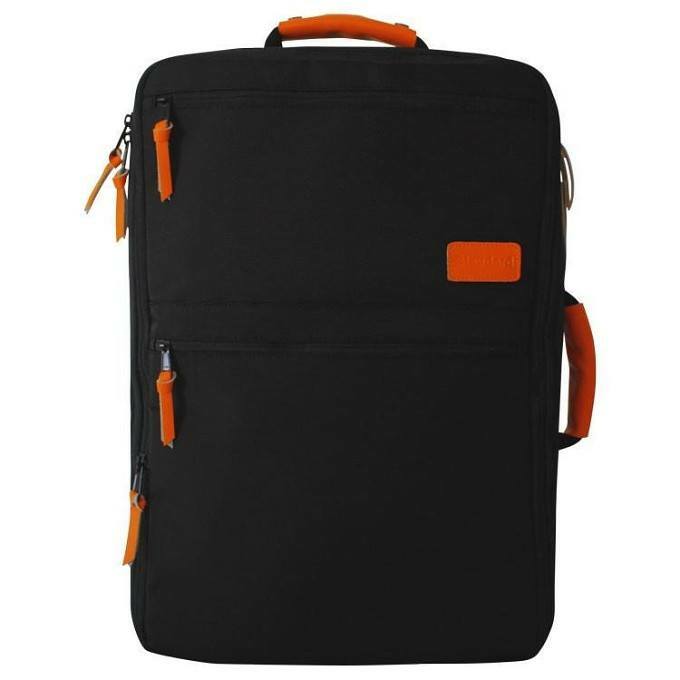 Laptop backpacks are a fabulous idea for anyone who needs to regularly carry around their laptop whether they are just traveling in the local area, like students, or are traveling around the world. The best laptop backpacks can be far more comfortable (and better for your back) than carrying around a traditional laptop bag. Does your laptop fit? There is no point buying a backpack that doesn’t fit your laptop. It also has to not just fit your laptop but fit it well. Your laptop will be better protected if there is not much wiggle room in the bag. You should measure your laptop and buy a laptop backpack which is just slightly bigger. Do you need extra room for other items? Basically you need to consider if you need to carry other items in your back pack (and thus want something bigger than just your laptop size) or just want a backpack for your laptop. It can be ideal to carry around all your business items if this is also to be your business backpack. Is it safe from hard knocks? You want to ensure that your laptop will be protected if your bag is knocked. Laptop backpacks with features like foam padding or compressed air are ideal. Is it water proof? If you are stuck in the rain, you don’t want your laptop ruined. Is it comfortable to carry? You want a laptop backpack which is comfortable, doesn’t hurt your back and doesn’t make you too sweaty. Look for harness systems that are ventilated. 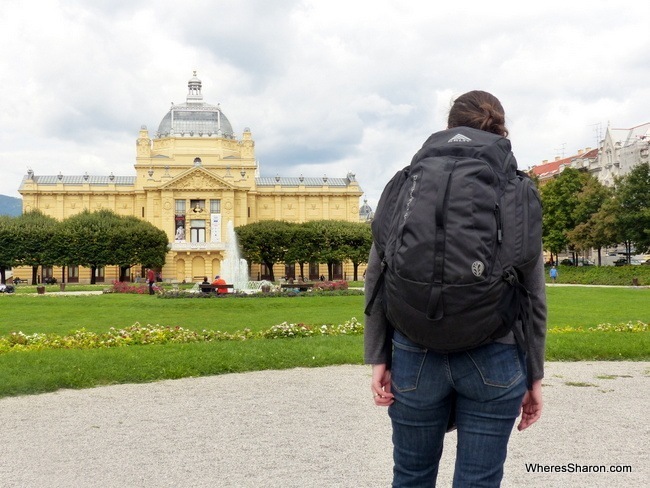 The SwissGear Travel Gear ScanSmart Backpack is one of my favourite laptop backpacks. The backpack is extra roomy, durable and is equipped with a large opening main compartment with rugged oversized zippers, adjustable side compression straps, heavily padded back panel with airflow ventilation, padded contour shaped shoulder straps with built in suspension and many other features. The backpack is very secure, comfortable and ensures laptop and back safety. This backpack is at the top of my list of favourites as always to lug around my laptop for work, this backpack is the perfect work-travel companion. Click here to see the latest reviews and prices. 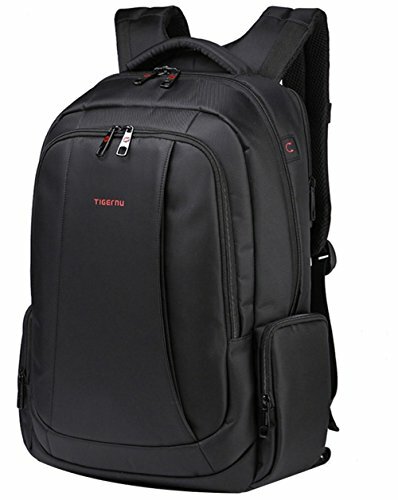 The Targus Drifter II is a great backpack for people looking for a handy bag to store their laptop and associated business materials or your travel itineraries, passports etc. This backpack is excellent quality and comfortable. The Targus Drifter is made to suit laptops up to a 17″ monitor. The laptop compartment is padded and will keep your computer safe. There are many other compartments including one ideal for file storage. The backpack also has small compartments which are perfect to carry your phone, business cards, pens etc. The two side water bottle pockets make this laptop backpack even more ideal for traveling. There is even a hidden pocket inside the lower back cushion – perfect for your keys and money. The Targus is very high quality and made from heavy duty nylon material so it will last. There is a waterproof case at the bottom meaning your laptop will be safe even if you put your bag in a piddle. I love how comfortable this pack is with mesh panels on the back to help circulation and padded, shock absorbing shoulder straps. Now that we are digital nomads, this pack suits us perfectly! Click here to read the latest reviews and see the latest price. Choose between black or grey, this particular backpack is fashionable and strong. You can easily fit in a laptop of size 14-15.6”, and you are safe in the knowledge that your technology is safe, thanks to the anti-theft material and strong dual zippers, to keep everything more than safe. The material is made of strong nylon fabric and that makes it very water resistant, so your belongings aren’t going to get soggy, and it is also very easy to clean. Everything is organised inside, with a laptop pocket, one large main compartment, an iPad/tablet sleeve, and two size zippered pockets, big enough for water bottles. There are also several smaller compartments which can be used for random items, such as pens and keys etc. The S shaped shoulder straps are also very comfortable, making this a great laptop for organisation, features, and comfort on the go. This particular backpack is ideal for business travel, and easily fits a 15.6” laptop inside very safely. The water resistant material gives you extra peace of mind, and the material is strong and durable resisting wear and tear. You also have an anti-theft side to this particular backpack, with dual access zippers which can lock together for extra peace of mind. There are several compartments inside, including one large main compartment, a separate laptop compartment, an individual tablet pocket, and a section at the front which can be used to organise smaller items. Carrying-wise, the padded shoulder straps make everything infinitely more comfortable, and there is a padded section on the bottom of the back to give extra support. The top loop handle means you can grab the bag easily when you need to move fast also. This is a great bag for business use, or simply for weekends away. Now that we have discussed everything possible to do with backpacks. here are my other picks for the best travel packs 2018. These are in addition to all the top rated travel backpacks listed above which all deserve this title as well. The Atmos 65 is another great backpack from Osprey – one of the best travel backpack brands. The brother of the Aura 65, this could be the best travel backpack for men. It is lightweight and versatile. This pack is great for traveling and also useful as a hiking pack making it perfect for people who want an option that they can use for both. At 65 liters, this pack should hold everything you want. It comes with lots of compartments to help with organisation. In addition to the compartments, there are also front and side pockets and places to attach poles and ice axes. For warm weather hiking, there is an AirSpeed backpanel which helps with circulating air to keep you cool. The frame of the pack is lightweight and incredibly effective. Along with the straps and padded hip belt, this pack is very comfortable to carry. My favourite part would have to be the comfort factor along with how versatile it is for people who want a backpack which is perfect for travel and hiking. The downside of this pack is that it is a top loader and doesn’t feature a U zip, although the many compartments help make up for this since everything I need to be able to grab easily can be stashed in one of those. It also comes in a 50 liter version. Click here to read the latest price and reviews. Australian Readers: Can click here for more details and the latest prices. The Deuter Aircontact 65+10 backpack is a fantastic hikers backpack. The backpack is anatomically shaped and has pivoting Vari Flex hip fins which follow your every move, making for great comfort. The backpack has many features that give it both comfort and control, including compression straps, a forward hip belt buckle, and a head moulding and positionable lid pocket with a compression strap allowing free head movement. This is a great backpack for those who need to fit a heavy load but still require comfort and ease of movement. This is one of my favourites due to its 15% perspiration control through a 3D AirMesh cover with breathable hollow chamber foam that blends ventilation through a pump effect that circulates air through. This is a fantastic backpack for those hiking looking for comfort, support, breathable and freedom of movement. This backpack is absolutely one of my best picks. Click here to see the latest prices and to read more. This is a quality product from one of the best backpack brands for travel which may be the best backpack for international travel. It is also available in several different colours. With a 46L capacity, you can fit everything you need inside this backpack, as well as a tablet, which has a dedicate sleeve with direct access. The large main compartment is easy to get into, but is separate to the laptop section, to offer extra protection. There are two stretch mesh pockets on either side, which can hold a water bottle or other small items, and a front pocket which is ideal for organising documents, pens, or keys etc. In addition, there is a hidden small zippered pocket inside, for valuable items, to keep them out of sight when opening the main compartment. You can easily carry this backpack without any strain on your back, and it is also ventilated to avoid that irritating sweaty back issue we all hate so much! It is also a lightweight backpack for travel perfect if you want to keep things as light as possible. As long as the backpack isn’t packed full, it is also a great option for people who like to travel carry on only. By now it should be obvious that I am a big fan of Osprey and here is another great option. This backpack is a great choice for people looking for large backpacks for traveling which is not just one of the best backpacking backpacks but also good for hiking. This pack, at 80 liters, should hold it all. It comes complete with large U zip to make access to this bag easy. There are interior pockets to help keep organised and well as several outside pockets. There are also lots of gear attachment points for things like ice axes, removable sleeping pad straps and pockets for water bottles. There are handy carry handles as well. The Osprey Waypoint has an interchangeable harness so you can vary how you want to carry the pack and a padded hip belt. A huge plus of this pack is that it comes with a detachable day pack. This means that you can keep it attached to carry all your luggage as one, and then detach the front when venturing from your accommodation so that you don’t need a second backpack. What I like most about the Waypoint is how comfortable it makes carrying such a large pack. It seems surprisingly slim. I also like the detachable day pack. Click here to read more details and reviews as well as see the latest price. Looking for something different? 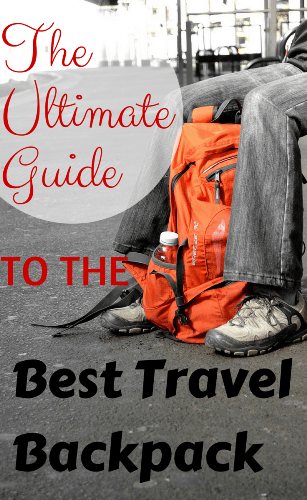 Read our guides to the best duffel bags, best sleeping bags, best carry on luggage, best lightweight luggage and the best luggage. If you want to pack better, read our guide to the best packing cubes. Thanks for the helpful share Sharon! For sure! If there is one thing I have never regretted spending money on it is good luggage – both backpacks and suitcases. My back still aches at the thought of the silly backpack I took to Europe with me the first time that was far too big for me. It’s easy to forget about needing good storage for electronics, but it is so important when you rely on them for work. Some of the most stressful times when travelling over the last year have been when something has happened to my laptop/phone/tablet! Love that you put so much attention to detail. You brought up a lot of excellent points about picking backpacks most casual buyers, like I am, frequently miss out on. I’ll keep these tips in mind before the next hot tub getaway with my wife. Hi – have you checked out the Lite Haul (38L) pack from Kathmandu? Hi Lauren! No I haven’t but it sounds good! I have had a 25L kathmandu backpack for years – it was my sole bag on one of my one year trips, and it has worked out very well except for a problem with the zips. 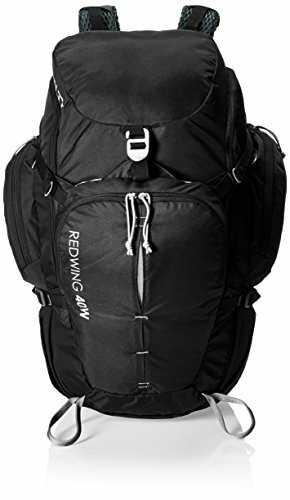 This pack sounds a lot like my Kelty Redwing which I am very in love with and definitely recommend. If you are in Australia, getting shipping can be annoying though. Thank you for this really thorough guide to backpacks! I’m currently researching backpacks for my very first interrailing trip in a few weeks and this has helped me so much! Thanks Abitha! I’m glad it’s useful. Good luck for your trip!! Hi, very nice post! I agree on pretty much everything you said, although I chose a different model, the Gregory Z55. I’m still trying to find a decent pack. I have a Macpac Gemini Aztec which I bought in Aus. Absolutely perfect except for the fact that it’s 60+15, which is too big for me sadly. Looking at some Gregory bags, they seem to be fantastic for travellers who want to hike as well. I need easily lockable bags, with a front panel loading system… Tough. Yes that is my only complaint about my Kelty Redwing. I absolutely love it and the front panel is superb but it is not lockable. I also have a Macpac which is great but too big for me now. Have you looked at the Osprey Farpoint? Thanks for the advice! 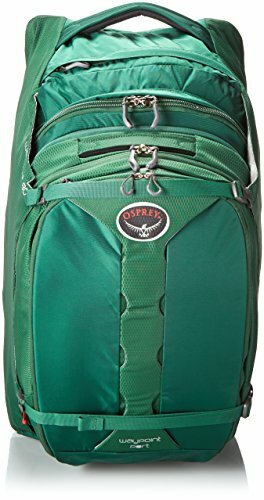 I leave on Oct 1 for a RTW trip and decided to go with the Osprey Fairpoint 70L. Comprehensive article and great recommendations. I noticed a lot of Ospreys, unsurprising, a lot of people love this pack. Another option for travelers would be wheeled backpacks. There is a weight penalty but if you’ve got a lot of long, flat areas on your trip, taking off your pack and rolling it is an absolutely godsend. wow this is a great article! I’m passing it to my friends for sure! What do you think about the Tortuga Backpack? I just came from a 2 month trip though Europe and I found the backpack to be great, took lots of low cost flight and had no problem. An amazing blog post! Thank you! 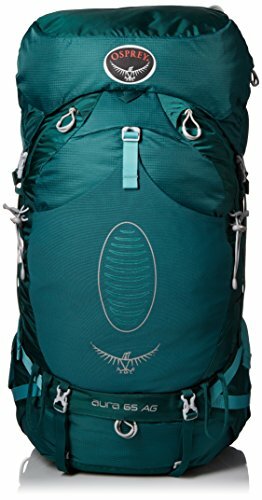 Can you recommend a good pack for a woman with a day pack on it? Very well done. I am however surprised that you have not discovered the TLS Mother Lode Weekender Convertible from Ebags. Excellent quality, design and guaranteed for life. Also the new one by Tortuga looks to be very well designed. One of the most vital things a traveller can find is a great travel backpack. It holds all your gear, it’s with you almost all the time, and in some bizarre, anthropomorphic way, it’s your best friend. I still remember the feeling of coming back from my first solo backpacking trip, and walking around without a backpack. It felt wrong. Like something was missing. Lol Bruce I understand completely what you mean. Conversely, I think a bad backpack filled me with dread and I never wanted to see it again!! Great artice, Sharon. Thanks for the advice. I’m travelling to South America in December/January for 18 days. The trip will start in Buenos Aires and end in Rio and will be a mix of urban exploring and some light hiking/walking including the Iguassu. As such, I need a rucksack for all my kit for 18 days, with a detachable day pack to take with me when I’m out and about. 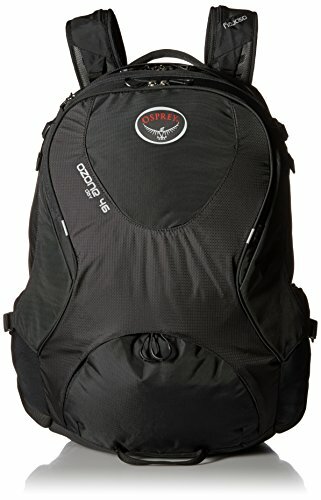 Do you have an opinion on this one or rucksacks with detachable daypacks in general. Hi Umair. The farpoint is a good choice. I have not used that pack personally but I have used a similar one in the past. It’s great having the flexibility of the detachable backpack. My only problem is that they never seem to be that comfortable (the day packs that is). So it’s fine if you won’t have much weight in it or won’t be carrying it around that often, but won’t be as comfortable as a dedicated day pack you could buy. I found it worth the compromise though. 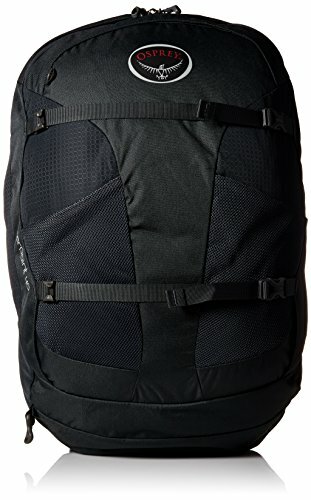 Any recommendation on packs with detachable daypacks? Hi Zayn! You can read about the Osprey Waypoint above or the Osprey Farpoint 70 has a daypack. We just did a 3 week trip to Prague and Munich and lived out of the Osprey Farpoint 40 Travel Backpack. Thanks for te recommendation, was the perfect size backpack! These are all great tips! I wouldn’t dream of going anywhere without my backpack. You could say I fell naked without it. Ha ha! Thank You Sharon Gourlay for this lovely article. Backpack which are best for you is really hard to choose but this articles made it easy to remember what all should be kept in mind while choosing a backpack. Hi Sharon! I’m a greenhorn when it comes to travel backpacks but am thinking of purchasing one for my upcoming two week trip to Tokyo. Any recommendations for a 5 ft 5 female? Thanks for sharing your experiences. I feel exactly the same when I see people buying big packs/cases. 125 litres is huge!!! Hi karen! Unfortunately not. You need to buy this separately. It would seem you have much knowledge in the backpack area. My wife and I are planning an Alaskan trip where we have a travel service arraigning our iteneray. It will be packed full of things today for about two weeks. I am looking for the perfect bags that we can basically live out of for that time. Being allowed two bags each on the airline should be plenty but if we are mobile a lot then light weight is what we need but still be able to carry things like clothing, toiletries and most importantly our optics and iPads, etc. what would you recommend? Hi Taz! This really depends on how much you want to take. I love my Kelty Redwing which is 40 liters but imagine you might want a bigger pack with more wintery clothes (plus I’m very good at traveling light). Perhaps the Osprey Farpoint 55? Awesome, thank you for sharing. 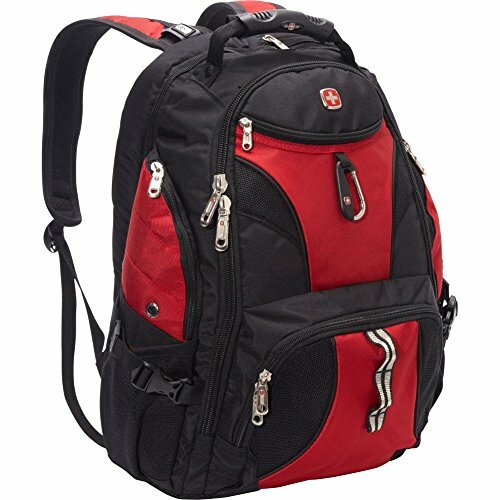 Looking for a backpack for my 18 year old son’s birthday. He’s planning to travel next year so I’m torn between the 40L and one that is a bit larger for him. I think taking it on board the plane with you is so convenient and saves a lot, but might not fit all he needs. Any suggestions? Hi Helga! The Farpoint 55 could be a great choice. I was just travelling with someone who had it and he was able to get away with taking it on flights with him (he didn’t have it stuffed full though) and it has a zip on backpack on the front as well. This will give your son to take a bit more and use it as carry on. Thank you so much, that really helps, I will definitely go for that one. 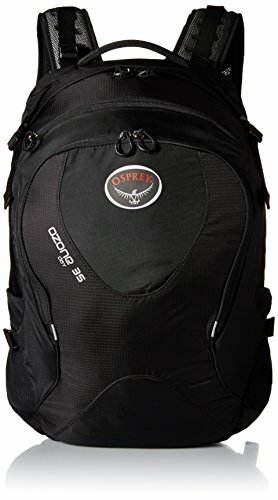 I love and recommend Osprey Aura 65 Backpack because it have a great high and enough space and lightweight. Its make me comfortable too. What a great comprehensive guide! Thankyou. I’m getting organised for a year long backpacking trip, so this was perfect for me. I do have a question though, you’ve reviewed a bunch of backpacks here, have you actually used all of them? If not, how do you review items you’ve not actually used? I hope I don’t sound rude, it’s just that I’ve read a lot of your travel gear review posts and I wonder have you actually used all this stuff? Many thanks in advance. Hi Kayla! It’s a combination of things. Some I have used, some I know people who have them and ask and I also look up tons of reviews and compile what I find. I have been known to walk up to strangers in airports and ask to try on their backpack and ask them questions about it lol. Since writing this article, I seem to have become hyper aware of what backpacks people are carrying around me and check them out. Good luck on your choice! I do absolutely love my Kelty Redwing 40 and think that’s perfect for a long trip. Wow this blog was a great help to get a proper Backpack needed for a trip. I was planning a trip with my friends and this guide not only helped me but my friends too.Thanks a lot Sharon. No problem Kartikey. I hope you have a great trip!! Wow this looks pretty incredible. Loved this comprehensive post. Great post, it really helps a lot. 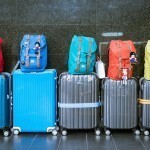 I travel a lot and your blog made me realized me that how wrong I was travelling with all my stuff. Awesome content. Totally loved it. I was searching for a rucksack and now I got that from where and which one I have to buy.